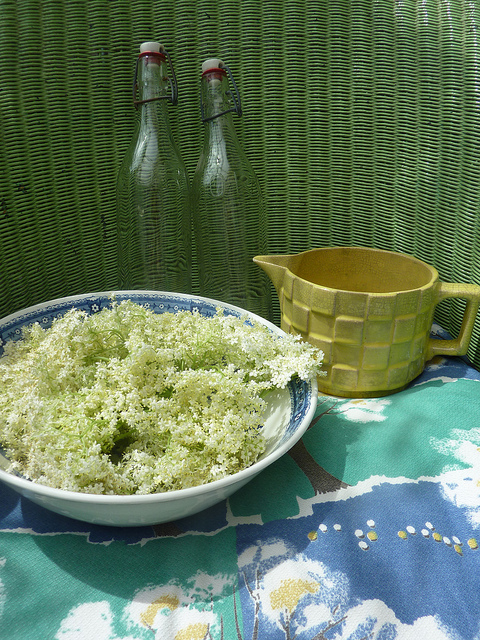 Elderflower cordial must be one of the simplest drinks to make - elderflower season is nearly over in this neck of the woods and forgot to photograph making it this year, so adding in my photos from Flickr. I have used the BBC recipe for years - don't forget the citric acid as it makes all the difference! Citric acid is more tricky to purchase now - but I bought a bulk lot when in the local chemist and it has a reasonably long shelf life! I love that wide jug - made by Shorter and bought from a local junk shop years ago - it is PERFECT for POURING into a small opening! This old bowl I must have bought 25 plus years ago and it is used several times a week for one thing or another. Don't make the mistake (as I have done in the past) of stinting on the sugar (surely I don't need THIS MUCH!!!) 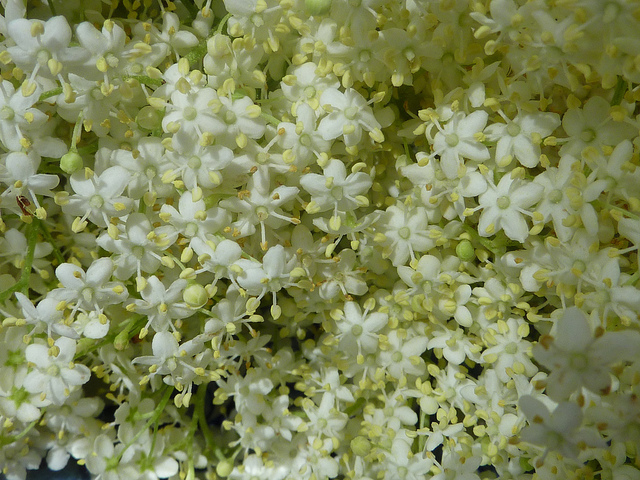 - you need the right balance of lemon, sugar and steeped elderflowers for a perfect cordial. The bottles are a bit tall to shove in the fridge to be honest but they are from the 1950s/60s I think and very Enid Blyton. Another top tip is to pick the flowers early in the season when the black fly etc have not got to them. I venture deep into local hospital grounds and pick them there - away from traffic and pollution. 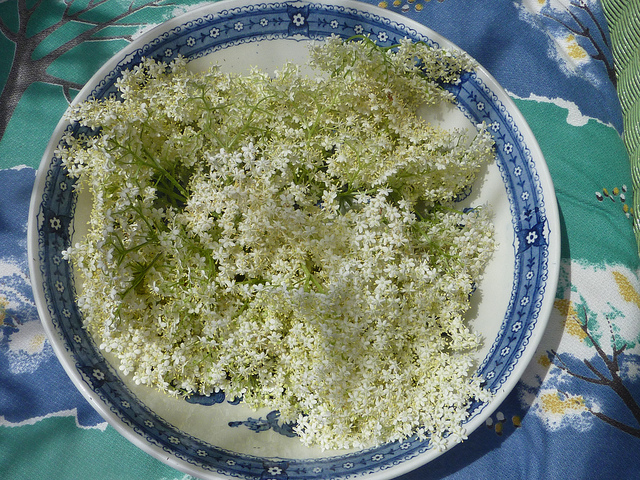 You don't have to live in the countryside to commune with nature. Please do make some next 'season' - to be honest it makes itself all you have to do is put it all together. The children love it - all that sugar I suspect!